Take a peek inside July's kawaii subscription box! This month features an entire set! This set includes two food containers and a hand towel to make sure your hands are clean and ready for your brunch date. In your kawaii box, you will find one of three possible designs: Totoro, Kiki’s Delivery Service, or Rilakkuma! Which design did you get? Note: These are microwavable. Keep your tables clean with this kawaii Rilakkuma coaster! It is made with a high quality cork that is soft and absorbent. Even if you aren’t using it at the moment, it makes for a super cute tabletop decoration! 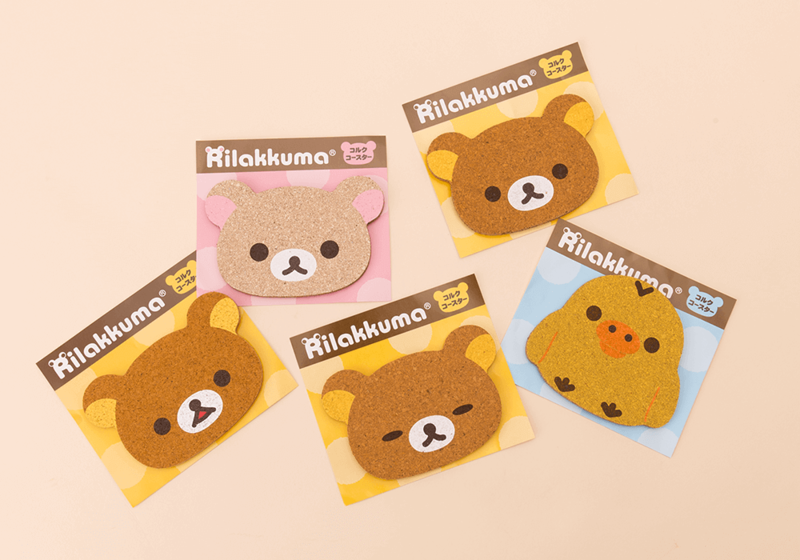 You will find one of 5 possible Rilakkuma designs in your kawaii subscription box. 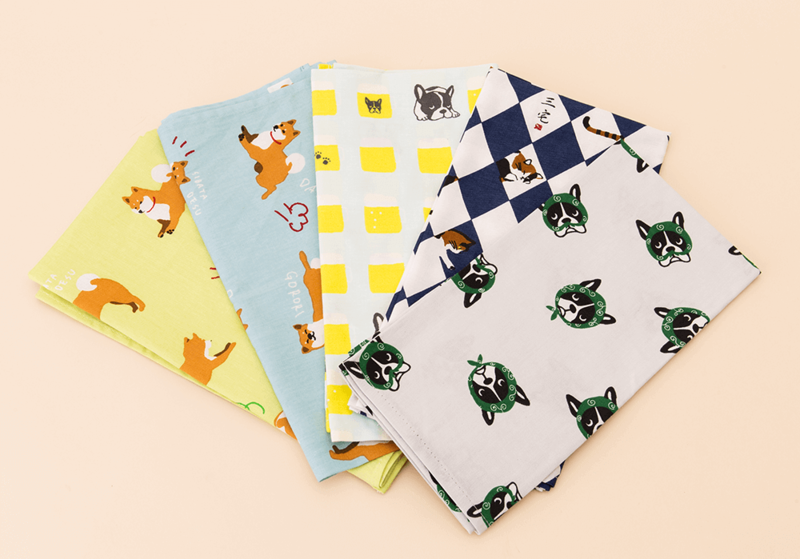 To help keep your brunch organized and clean, this adorable pet lunch cloth is included in your kawaii box. It can be used to wrap up your food containers for easy, organized transportation and then it can be placed on the table as a cute lunch mat! This cloth comes in 5 different designs. How will you use this cloth? Now that you have awesome food containers, a coaster to hold your drink, and a cloth to carry your brunch with, how will you eat it? 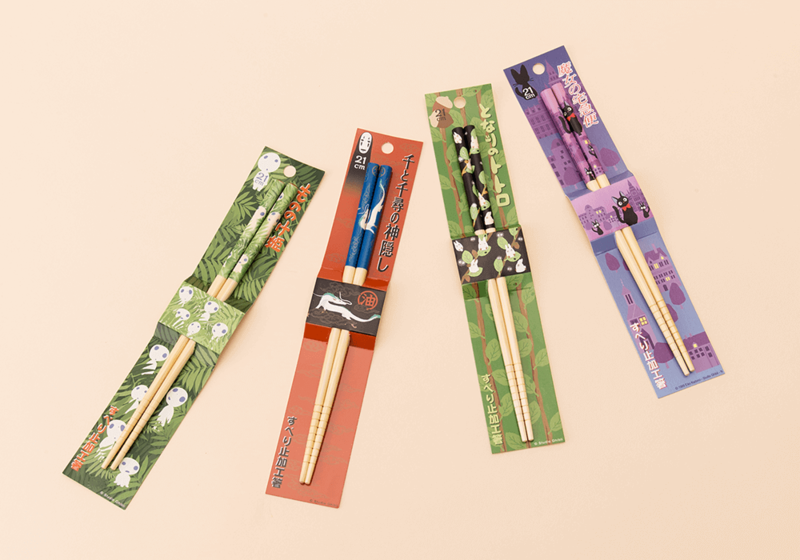 Well, with these adorable Studio Ghibli Chopsticks of course! They are 21 cm in length. Included in your kawaii subscription box you will find 1 of 4 possible Ghibli designs. We recommend you hand wash these to make sure they stay cute as long as possible. You have your brunch set, but you need a brunch partner! Why not chow down with this cutie!? This Angel Panda plushie is the perfect size to carry around and can even be attached to bags to keep you company anywhere. 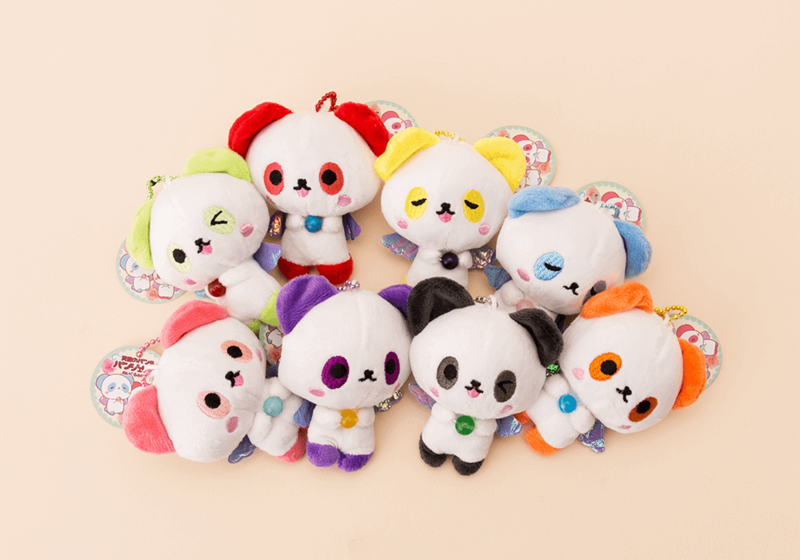 These Angel Panda kawaii plushies come in 8 different designs and each carry a different gemstone: rose quartz, melon, flora ,howlite, lapis, amethyst, lemonquat, and nephr. Which Angel Panda did you get? 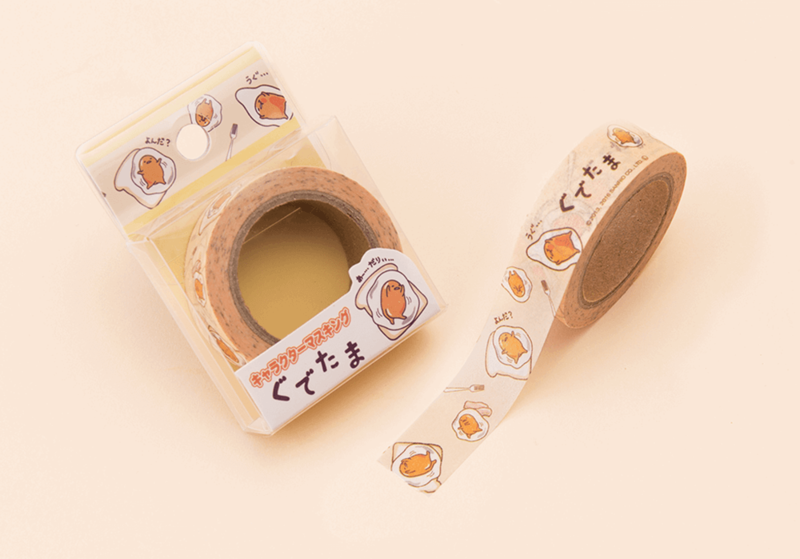 The stationery item in this month's Japanese subscription box is this super cute Gudetama Washi Tape! You can use this item for scrapbooking, journaling, or even as a way to denote what food is in which kawaii container! Have fun decorating and organizing with this licensed Sanrio item!